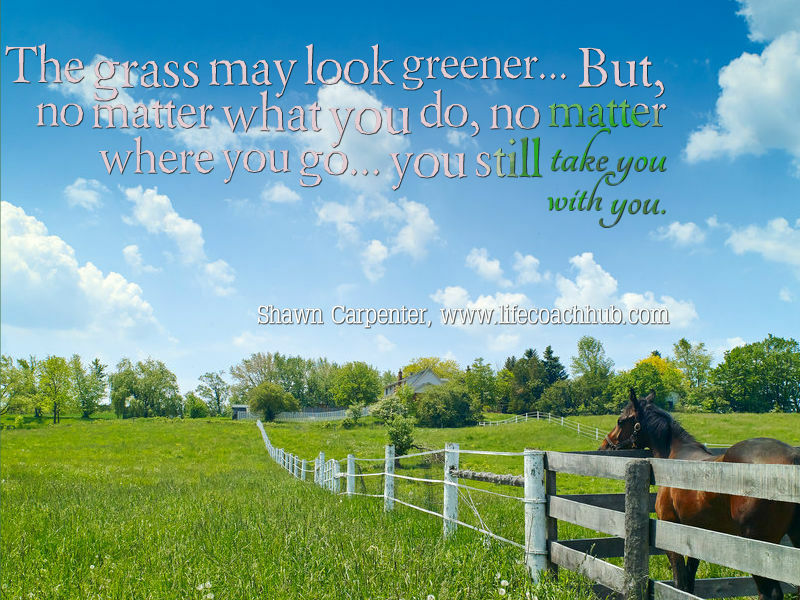 People are always looking for what my wife calls, “the next shiny.” They’re always thinking that the grass might be greener on the other side. Sometimes... it is. Most of the time? ...you still take you with you. You can’t run away from your problems. Your problems come with you. Sometimes it’s necessary to make a change for all kinds of reasons – safety, income, variety. And that’s important. At times, the change can trigger more permanent change inside you. Most of the time, however, after the novelty of something has worn off or you’ve run out of will power, you will revert to the same habitual emotional and behavioural patterns that have always controlled your life. What meaning am I giving this? The first, while obvious, still escapes people in the midst of struggle. Instead of focussing on what they have to be grateful for, solutions, and where they’re going, they focus on everything that is not working. The second question is even more important. Nothing in life has an inherent meaning. As human beings, we have a tremendous power to assign things meaning (eg: suppose a couple has their first major argument. One partner believes that the relationship is over, while the other views it as a challenge, that, when overcome, will bring them closer together). The third question is your point of transformation. You are the cause of your problems. You are also the solution. 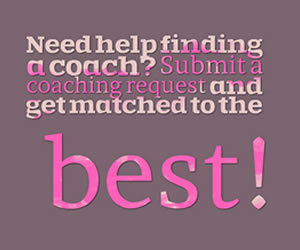 Choose a Top Coach for performance	success today! Kate Rodrigue MSA-HPT, CPT, CLC I help people improve their performance and productivity so they can achieve their goals. 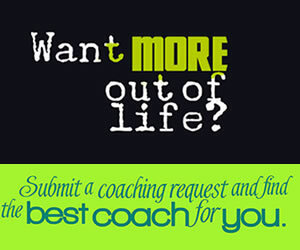 What is a Life Coach and What Does a Life Coach Do Anyway?